Q. 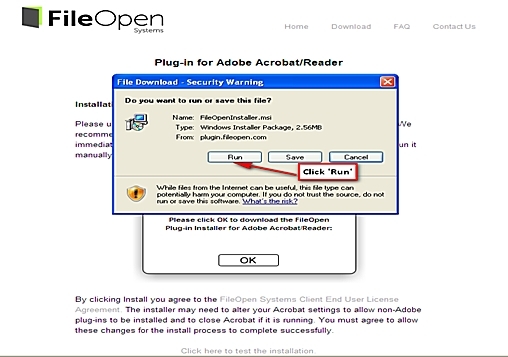 How do I install the FileOpen Acrobat Reader plug-in to read the DRM-protected ebook? There are three main versions you can select. 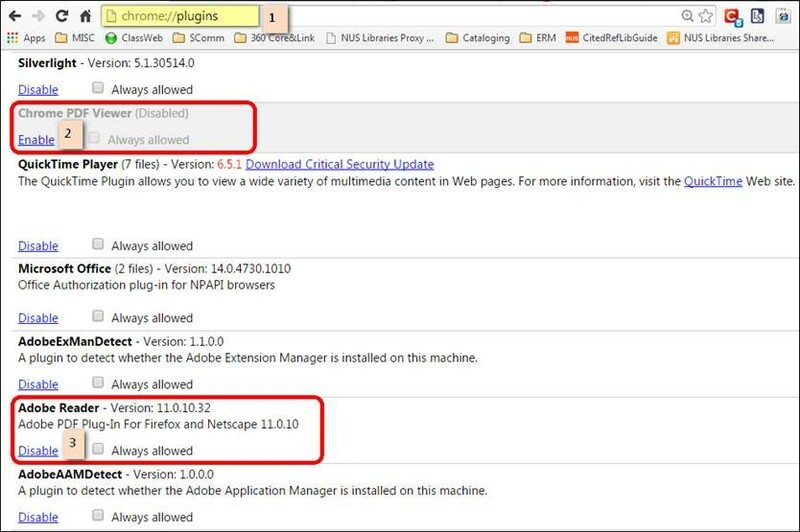 As mentioned already, you will need to download the free plug-in at http://www.tandfebooks.com.libproxy1.nus.edu.sg/page/help#DRM first before accessing these options. At this moment, it is highly recommended that you try accessng T&F DRM ebooks with Internet Explorer 7-10 with compatibility mode OFF. If the options are greyed out or clicking on them does not give any result, please ensure the compatibility mode is OFF (see below). Chrome users should disable the build-in PDF plugin. (see below). Here are the detailed steps required for Windows users, this is for mac users. 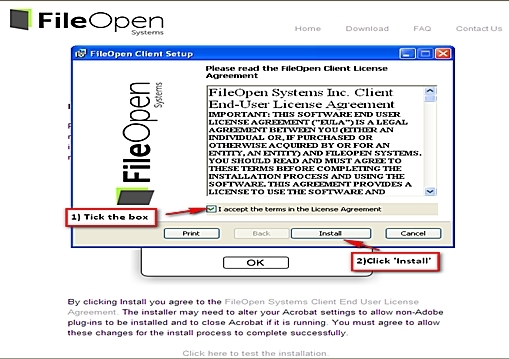 c) Click ‘Run’ on the pop-up screen - Do you want to run or save the file? If the Access screen is grayed out, please press F12 (on keyboard) to open the IE developer tools in the IE browser. On the menu bar, click on browser mode and make sure that the version of the browser is ticked WITHOUT compatibility view and close. Users may encounter the error (Failed to load PDF document) when they click on “standard access” in Chrome. 2) Click on the link to enable so it displays as below. 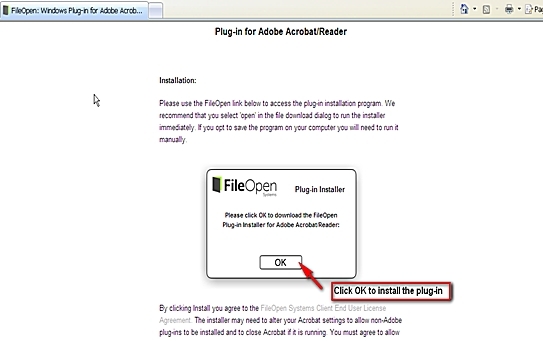 3) Disable the Adobe Reader. The screenshot below shows what your chrome plugins would look like after applying steps 2 and 3.